Keeping your kitchen clean is important, it is a breeding ground for germs and unless you keep your kitchen clean, you have the potential to harm family member’s health. 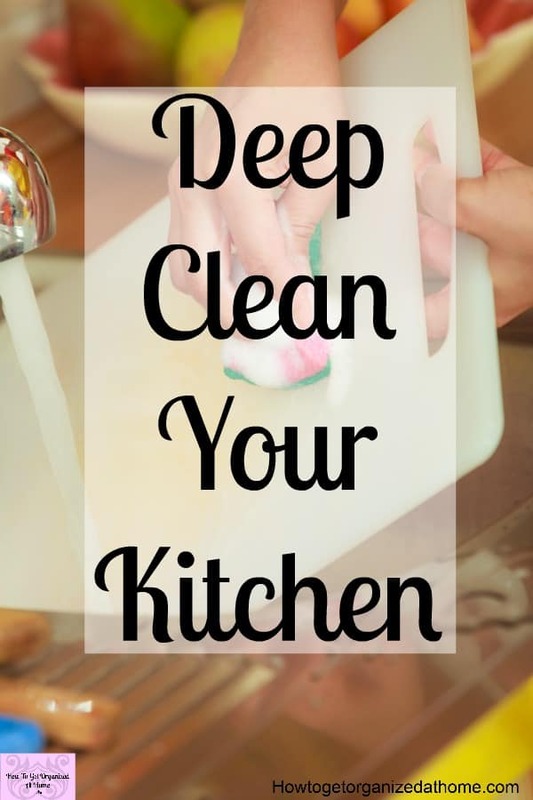 How to clean your kitchen isn’t difficult with a plan! It is surprising how quickly dirt and germs can build up in different areas of your kitchen yet it’s easy to keep it clean and germ-free. 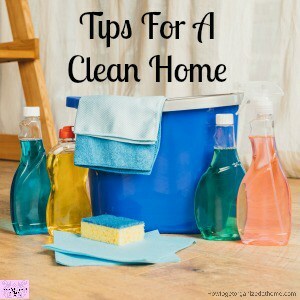 The best advice is to keep on top of your cleaning and it won’t take long, the longer you leave it between cleaning, the greater the build-up of dirt and the longer it is going to take you to get it clean. 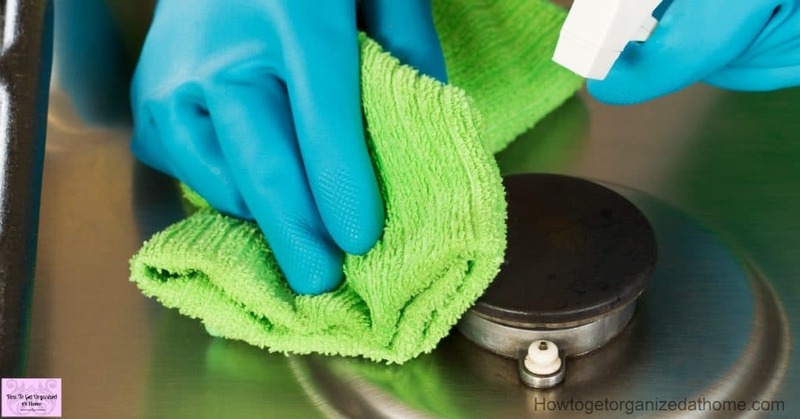 You don’t need to cover your kitchen with chemicals to keep it clean, hot soapy water, a damp cloth, and a drying cloth are really all you need. If you do like to use manufactured cleaners then ensure they are safe to use in the kitchen and carefully follow the instructions, you don’t want to poison your family, and certainly don’t mix products, as you can create toxic fumes, which can harm your health. The less stuff you have out on the countertops, the less you have to move to clean. I like to wipe all counter tops down when I wash up, so the fewer items there are out the less I have to move, saving me time. If you create a list of areas that you want to keep clean in your kitchen it will help to remind you what needs doing! 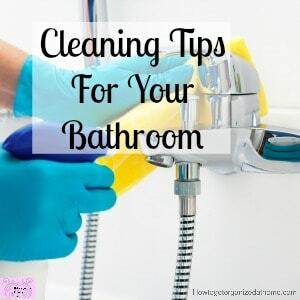 In the most basic form, a cleaning schedule is just a list of jobs that you need to tackle in your kitchen on a regular basis, depending on how much time you have and how often between cleaning will depend on the frequency of them on your list! It’s a great idea to have a list that is broken down into different tasks but over different time periods. For example: Washing the dishes is something that you must do daily, where cleaning the oven is something you might only tackle once a month! 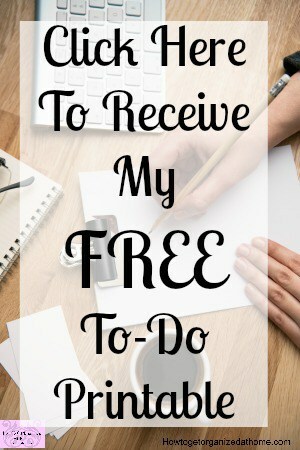 By creating a schedule, you will be able to see at a glance what needs doing and you can plan those longer tasks into your day and week because you know when they are due! There are some tasks that you have to do each week to keep a clean and healthy kitchen! Once you’ve worked out what you want or need to do each week in your kitchen, you then have to take the time to do these tasks! How you do this will depend on the time you have available, you might choose to do it in one big marathon cleaning session or break it down into smaller manageable chunks! I prefer the second option as I get distracted very easily! 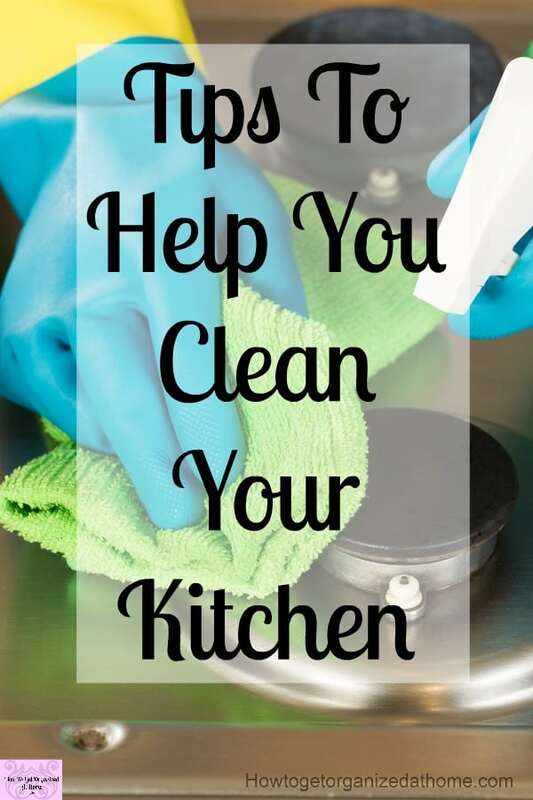 There are so many different parts of a kitchen that it can become confusing how to deep clean a room that is kept relatively clean most of the time! But, having the opportunity to really get your kitchen clean will make you feel great! I think the frequency also depends on if you have pets too! My kitchen seems to fill up with dog hair! It gets under appliances and it bugs me, so I like to tackle the deep clean projects regularly! If you don’t have pets you won’t have as much fluff building up and this can and will reduce the frequency of certain areas of deep cleaning! Floors are my biggest ‘bug-bears’ if they are dirty and grubby then they annoy me and having 3 dogs it is hard work keeping the floors clean! I haven’t even got a flooring in the kitchen, it’s just concrete, we had a leak in there ages ago and just haven’t got round to replacing the flooring!! I can’t decide what I like! This causes me issues when it comes to keeping it clean, it’s not the easiest of tasks! This is why I use a steam mop on the floor once it is swept! It is surprising just how much cleaning there is in the kitchen and the appliances that we have added to the cleaning! In the UK, we have our washing machine and tumble dryers in the kitchen! All these appliances need regular cleaning and ensuring that they are kept looking good! It will depend on the appliance as to how to clean it, follow your manufacturer’s instructions! If you want a clean dishwasher, I wrote a great article called How To Clean Your Dishwasher! If you want to tackle your oven but don’t know how this article How To Clean Your Oven And Make It Sparkle will help! Keeping the sink clean is important if you don’t want it to smell! Blocked and dirty sinks smell really bad and it doesn’t take long for the smell to start! How you clean your sink will depend on the type of sink that you have got and if you have other appliances attached like a waste disposal unit as well! If you have ever heard of the Flylady you will have heard the term many times to shine your sink! Her thoughts behind this are encouraging you to just taking pride in one area, tackling the dishes and getting the sink looking clean and tidy! This one step can lead you to further cleaning projects! Cleaning your kitchen is hard when you have lots of stuff! Try decluttering your kitchen first! 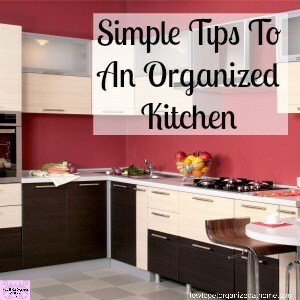 Read How To Simply And Easily Organize Your Kitchen to help you! For cleaning the floors I use a Shark Mop! It’s simple and easy to use! Baking soda is great for making into a paste to clean different parts of your kitchen! I use microfiber cloths for all my cleaning, they come in different colours which are great for the different rooms in your home! Grab my cleaning pack here! I’m tempted to empty out every single cupboard and clean my kitchen that way, but I know from experience this isn’t the best option. One at a time is easier to manage because something happens in the middle of a cleaning session and only having one cupboard’s worth of items on the side is a lot easier to put away rather than having the whole kitchen cupboard’s contents lying everywhere. With wall cupboards I always use a step-ladder, I can’t reach to clean the top of the cupboard door properly, there is no way I can reach to the back of the top shelves to clean them either; this is often where I find my family like to hide things because they are all a lot taller than me. Rinse out my cloth before tackling the cupboard door. I always start at the top of the door and work my way down to ensure that the dust and sticky residue you often find in kitchens is completely off the door. Dry the cupboard before returning the contents of my cupboard back into its home. I always check any dates, if anything is missing or if I need to add an item to my shopping list. A kitchen is a greasy place and I think it’s important to keep the walls of your kitchen clean! These are not tasks that you will tackle weekly, but it is important to have them in your calendar to tackle at regular intervals! Cleaning your kitchen is important; it reduces the sticky residue, which can harbor the dust and germs in our kitchen. If you have distractions, don’t aim big, don’t set mammoth tasks that you haven’t the time to complete, break these down into manageable tasks you can do, this makes you feel better about keeping your kitchen clean. Yes I found that one cupboard at a time is good. Stops the kitchen looking like a bomb has been dropped in it, too! I have cleaning ADD. Once I start something, I go into a different room and start cleaning there. I never really get done with anything. The less stuff you have out on the counter tops, the less you have to move to clean…I am working on this! I will have the counters cleared and then the next day I’m back to the clutter again. Some day. Anyway, great article! Makes me want to rush home and scrub a cupboard.